These Terms and Conditions of Use for Registered Lawyers (the “Terms” ) constitute an agreement pertaining to the use of the website found at www.jurisreference.ca or at any other address to which it could be added or by which it could be substituted (the “Site” ). In particular, these Terms govern the relationship between the owner and operator of the Site, Juris, Inc. ( “JurisRéférence” , “we” , or “us” ) and you, as a lawyer duly registered on the Site (the “Lawyer(s)” or “you” ) for the use of the Site, including that of various functionalities and related services at your disposal on the Site, such as a profile page where you can display your information, etc. (the “Service”). JurisRéférence has discretion to amend said Terms and Conditions as well as any policies or Guidelines displayed on this Site at any time. By using this Site after the display of any amendment, you agree to the latter. You are responsible for duly verifying any amendments made to any Terms and Conditions, policies or guidelines. With JurisRéférence you have a modern, simple, user-friendly tool that wil make it easier for you to search for qualified counsel to meet your requirements in legal matters, the whole at no cost to you. To help match you with Counsel most likely to resolve your particular case, JurisRéférence uses computer-based standardized techniques developed according to objective tests consistently applied to all Counsel and Users. However, it is important for people to understand that Users are solely and fully responsible for selecting the Counsel they wish to commission. Likewise, Counsel are solely and fully responsible for deciding whether or not to accept commissions from registered Users. JurisRéférence never intervenes in the selection of any particular Counsel, or in the process leading up to said selection, except where the availability of computer-based tools that apply automatically and consistently to all Users is concerned. Likewise, JurisRéférence never intervenes in decisions whether to accept or not to accept a mandate, in the drafting of Service offers made by Counsel or in the process leading up to said selection, except where the availability of computer-based tools that apply automatically and consistently to all Counsel is concerned. JurisRéférence shall never intervene in any contractual relationship entered into between Counsel and his or her client following use of the Service. Any mandate issued by User to Counsel does not fall within the Service provided by JurisRéférence and JurisRéférence shall not in any way be liable therefor. JurisRéférence is not a law firm and does not offer any legal services or legal opinion of any kind whatsoever. This questionnaire offers questions used to describe the situation you wish to address and the type of legal services you are looking for. Careful! If you wish to preserve your anonymity and to keep any information relating to your particular situation confidential at this stage, it is essential that you avoid entering in your case description anything that might directly or indirectly give away your identity. Step 5 – Complete registration of your application by creating your user account on the Site , as detailed in section 2 of these Terms . Once registered, you will have access to all features and services offered on the Site. The process for posting your request , the creation of your User Account and any use you make of the Site and of the Service are totally free of charge. 2.2 Privacy of Information: All personal information and / or identity listed in your user account will be accessed only by yourself , by Juris Reference as well as the lawyer selected by the reference service. 3.1 Users of the service request : As soon as your registration is completed, your request for legal service, which contains the information provided in steps 1-4 of the registration process (hereinafter : a « Request »), is distributed automatic and computerized way to lawyers who meet the selection criteria based on the content of your request (including region / city , area of ​​law ) . Users using this Site or any Service provided thereon agree and acknowledge that Counsel (and the Site’s administrators and representatives) receiving their request and any other Counsel belonging to said Counsel’s firm shall not be held to be disqualified to act on behalf of clients with interests competing with or contrary to said Users having sent said request even where Counsel receives any information possibly prejudicial to said Users in any proceeding.Users acknowledge that use of the Site or of the Service thereon shall be subject to the waiver described in this paragraph, said waiver being reasonable and necessary so as to enable Counsel to receive any Request. Users concerned with respect to said waiver shall be entitled to limit any information contained in their Request and/or to decline to use the Service in connection with a particular file. 3.2 Bar service offers : Upon receipt of your request , any lawyer available and interested in your case may, within a maximum of three ( 3) days or within a shorter period , using the functionality provided for that purpose in his account client, you send a confirmation of his interest in your Application (hereinafter : the « Offer »), to its display in the space provided for this purpose in your user account. 3.4 Canceling a Request : The User may terminate its service request at any time before the term and / or the acceptance by a lawyer using the function provided for this purpose in its user account. Where applicable, any lawyer involved in this request will be immediately notified of its cancellation. Should the period provided for in the Request mature without said Request being proceeded with by any Counsel affected thereby or by User acting personally, said Request shall be automatically canceled upon the expiry of the term. 3.5 Submitting a New Application: To submit a new application , you simply access your user account and proceed with steps 1-5 of the registration process and all will be notified. 4.1 Accuracy and credibility of information and intelligence data: Any information that you send, provide, register, download or display on the Site or that you send by means of the Site, shall be accurate, to the best of your knowledge, and the Required Information provided when your Customer Account was created shall be valid, complete and up to date. 4.2 Subsequent amendment of Information in User Account : You shall always be entitled to amend your password in accordance with the procedure established for such purpose, as well as the information registered in your User Account. You more particularly undertake to keep up your e-mail address active for the entire duration of your use of the Site in your capacity as User. Should you change your address, you shall promptly effect your change of address in your Customer Account. 4.3 Erratic Information or intelligence data : Should there be any reasonable grounds to believe that you have registered, published or broadcast any inaccurate information on the Site or by means of the Site and/or that any information registered in your User Account is inaccurate, invalid, incomplete or is not up to date, JurisRéférence shall always be entitled to deny you access to the Site or to some of its features, to suspend your right to use the Service or to close your Customer Account. However, JurisRéférence shall be under no obligation to ascertain that any information and/or Personal Information you send is accurate, valid or useful. 5.1.7 Promoting the sale of products and/or services. 6.1 JurisRéférence’s intellectual property: The contents of the Site and any Service offered on the Site, the design, the page layout, page setup and pagination of the Site as well as any trademarks displayed on the Site are owned by JurisRéférence and/or its partners and are protected by copyright, trademark, unfair competition legislation and by any other applicable legislation, as the case may be, and all or any part thereof shall not be copied or forwarded unless expressly authorized by Juris Référence. 6.2 Limited Site user license : You are hereby authorized to use this Site within the limits expressly contemplated by these Terms and Conditions. You shall not be entitled to use this Site for any other purpose without first obtaining JurisRéférence’s express written consent. On a non-restrictive basis, in the absence of said written consent, you shall not be entitled to change, duplicate, distribute, forward, display, publish, license, assign, transfer or sell any contents, data, software, products or services obtained on this Site, or create any works derived therefrom. 6.3 Transmission of content : Whenever you send any content in connection with any use made of the Service, whether it be text, photographs, sound or image files, or other forms of content (hereinafter referred to as « Content »), you are totally liable with respect to said Content. You represent that you are the originator of said Content and rightful holder of all rights therein, or else you represent that you have secured any and all required authorizations in due form allowing you to use said Content in accordance herewith. Please note that in some instances, several authorizations may be required. For instance, should photographs be concerned, you shall secure permission from the holder of the photography copyright as well as from the person appearing on the photograph. If you are not familiar with the rules respecting content protection we advise you to inquire with counsel specializing in such matters. 6.4 Licence to use your Content : You hereby grant JurisRéférence a non-exclusive licence to use, in connection with the Service, any Content downloaded, displayed or sent by you on the Site or by means of the Site, in accordance with the Terms and Conditions provided for hereunder, without any territorial restraint, for the duration of the time during which your User Account is maintained on the Site. 7.1 Undertakings given by JurisRéférence respecting the Site and the quality of Service: JurisRéférence undertakes to do its best to ensure proper Site operating performance and continuous accessibility to its Service. JurisRéférence undertakes to do its best and to use its best efforts in order to offer its clients a wide-ranging Service that satisfies their needs. 7.2 Warranty limitations respecting Service performance : Under no circumstances does JurisRéférence warrant that the Site and/or the Service will come up to all of Service users’ expectations and more particularly that Counsel will find any commissions and/or clients, or that Users will find the Counsel they are looking for. Under no circumstances will JurisRéférence be held liable with respect to any business results Counsel or Users have obtained by using the Service. 7.3 Warranty limitations respecting the Site : Considering the potential for instability on the Internet network and as permitted by law and by any applicable regulation, JurisRéférence shall no be liable in any way for the performance of the Site from a technical and/or business standpoint. JurisRéférence does not warrant that services provided on the Site will be uninterrupted, safe or free from any error and that it will be possible to correct any defect found in any feature offered or in any software used. You alone will be responsible for any damage caused to your computer and for any data loss resulting from the downloading of any materials by means of the Site. 7.4 Limitation of liability in the event of damage : As permitted by law and by any applicable regulation, Juris Référence shall on no account be liable for any damage, whether directly or indirectly resulting from any use made of, or from any inability to use, the Site and/or the Service, including any damage connected to any loss of profit, loss of means or potential, from the interruption of the Service or from data loss, whether or not Juris Référence is notified of any likelihood thereof. 7.5 Warranty limitations respecting Contents of others: Juris Référence shall on no account be liable in any way for any Content displayed, sent or otherwise conveyed, on the Site or by means of the Site, by Counsel, Users, associates or third parties. 7.6 Commitments Juris Reference for the registered Lawyers : Before accepting the registration of a lawyer on the Site, JurisRéference verifies the Barreau du Québec, to confirm that the lawyer is a member in good standing of the Quebec Bar and has the right to practice his profession . Subsequently, JurisRéference conducts frequent verification of this information . The customer account any revoked or suspended lawyer will be closed and , if applicable , any pending request transmitted to that lawyer will be withdrawn. JurisRéference can not be held responsible for maintaining the registration of a lawyer based on any incorrect information obtained in good faith about it. 7.7 Limitation of liability in respect of the mandates, services and legal opinions provided : JurisRéference does not participate in any way the choice of a lawyer by a User, in the decision of a User or not to entrust a mandate to a Lawyer or in the decision of a lawyer or not to accept a warrant from a User. In no event JurisRéference can not be held liable in any way whatsoever in respect of such decisions or choices and the consequences of such choices and decisions by users and lawyers. Likewise, JurisRéférence shall not be held liable with respect to the quality of any Offers made by Counsel or with respect to any legal services rendered by any Counsel to any User as a result of use made of the Service, Counsel being fully accountable therefor. JurisRéférence is not a law firm and does not provide legal opinions of any nature whatsoever by means of the Site. The originator of any legal opinion published on the Site or by means of the Site from time to time shall be fully accountable therefor and JurisRéférence shall in no way be accountable therefor. Nevertheless, where JurisRéférence is notified or has reasonable grounds to believe that any opinion or any other legal document in error, malfeasant, unlawful or in violation of the rights of third parties, is displayed on its Site or is being sent by means of its Site, it reserves the right to withdraw same with or without prior notification and/or to close the Customer Account belonging to the Counsel responsible therefor, at its sole option. 8.1 Sanctions in the event of default : JurisRéférence reserves the right, in its sole and absolute discretion, to temporarily or definitely interrupt or abort your access to the Site or to some of its features and to take any measure deemed appropriate under the circumstances whenever JurisRéférence has reasonable grounds to believe that you have breached any of your obligations as provided for hereunder. Such measures may unrestrictedly include the cancellation of your subscription and User Account and the transmission of any illegal content to the appropriate authorities. JurisRéférence, without being bound, compelled or under any duty to do so, reserves the right to notify you, by E-Mail or by any other means, of your breach, and to give you an opportunity to remedy said default. 8.2 Deletion of Information : JurisRéférence makes scheduled backups of its systems and of the files contained therein. You agree to entitle JurisRéférence to delete data or files saved on servers connected to your Customer Account should you breach these Terms and Conditions. 8.3 Indemnification : You undertake to indemnify JurisRéférence and to take up its defense and, as the case may be, that of its employees, agents, assigns, representatives and/or business partners, for any damage, loss or expense of any kind, (including reasonable counsel fees) possibly incurred by the latter owing to your failure to meet your commitments hereunder, in connection with any claim, judicial proceedings or recovery whatsoever, based on the infringement of originators rights, the operation of any relevant right or agreement or on any injury to third party rights, including any pecuniary or other damage resulting from the performance of any act that is unlawful, prohibited or unauthorized act under or in accordance with these Terms and Conditions. 8.4 Notification of third party faults : You also undertake to notify and to cooperate with JurisRéférence in the event that you should find out about any unlawful or unauthorized act provided for hereunder. 9.1 Hyperlinks to external sites : JurisRéference is not responsible for the content of other websites accessible as hyperlinks from this Site , including sites of Lawyers ( hereinafter “Linked Sites”) , these sites n Since that was not created by JurisRéference and not under its control. Unless an express statement to that effect , JurisRéference is not affiliated with and does not endorse the linked sites , their owners and managers or products and / or services available on such sites. This site is not sponsored by the Linked Sites or their owners or managers with the exception of Juris Concept partner Your navigation to these Linked Sites and their inclusion in your favorites are your own responsibility. 9.2 Hyperlinks to Site : You cannot create any hyperlink to said Site or use said Site in association with any third party trademark in such a way as to let people believe that said Site is endorsed or associated with the present Site or with JurisRéférence without first obtaining JurisRéférence’s express written authorization. JurisRéférence reserves the right to deny you the use of any hyperlink to the present Site where the context in which said hyperlink is used has any adverse effect on JurisRéférence’s honour, reputation or business interests. These Terms shall be governed, applied, and construed in accordance with the laws of the province of Québec. The parties agree that the courts of the district of Québec, Quebec, Canada, shall have jurisdiction over any dispute, claim or legal action pertaining to these Terms. Juris Référence has discretion to amend said Terms and Conditions as well as any policies or Guidelines displayed on this Site at any time. By using this Site after the display of any amendment, you agree to the latter. You are responsible for duly verifying any amendments made to any Terms and Conditions, policies or guidelines. A tool that provides a referral service, as offered by our partner regional bars, to be available online. Juris Référence is entirely free of use for any user looking to obtain legal counsel. There are no hidden fees and no banking information is required at any time. JurisRéférence never intervenes in the selection of any particular Counsel made by any User, or in the process leading up to said selection, except where the availability of computer-based tools that apply automatically and consistently to all Users is concerned. Likewise, Juris Référence never intervenes in decisions whether to accept or not to accept a mandate, in the drafting of Service offers made by Counsel or in the process leading up to said selection, except where the availability of computer-based tools that apply automatically and consistently to all registered Counsel is concerned. JurisRéférence shall never intervene in any contractual relationship entered into between Counsel and his or her client following use of the Service. Mandates issued by Users to Counsel shall not fall within the Services provided by Juris Référence and Juris Référence shall not in any way be liable therefor. 1.1 Qualifications for membership in the Service: To be eligible for membership in the Service, you must be a practicing lawyer and be duly registered on the Tableau de l’Ordre du Barreau du Québec (Québec Roll of the Order of Advocates) you must not be subject to any judgment or be subject to any disciplinary measure or action (current or past) liable to impair or prejudice your license to practice, the integrity of your legal services and/or public safety. 1.3 : Any lawyer who registers to the Service must indicate, on the registration form, the fields of law for which they represent that they are competent and ready to provide counsel. Participation to the Service is a privilege, not a way to develop skills and knowledge. 1.4 : Any Lawyer who registers to the Service commits to take in, in the shortest delay possible, any client whose issue is related to the fields of expertise they indicated on the form. They also agree to receive a maximum fee of $30 for a half-hour consultation. 1.6 : Any Lawyer may withdraw or modify their registration to the Service by providing JurisRéférence with a written notice. 1.8 Verification of your registration to the Roll of Order: After you have finished your registration on the Site, JurisRéférence will check the status of your registration to the Roll of Order with the Barreau du Québec. If you are not a member of the Barreau du Québec, or if you have a disciplinary record, JurisRéférence will have the right to cancel your registration and transaction. In any other case, you will have to fill in the mandatory and optional (but very useful and relevant) information fields in your profile. 1.10 Approval of the registration request:Your registration will be considered approved by JurisRéférence if your mandatory information record is completed, your registration to the Roll of Order confirmed, and your disciplinary record checked. 1.11 Limit of one subscription per Lawyer: Please note that s subscription to the Service is only valid for the Lawyers who are registered on the Site, and that no substitution or agglomeration of lawyers and no transfers are allowed, except in accordance with the provisions of Section 3.5 of these Terms. 1.12 Optional additional information: To complete your profile, you will have the option to upload a picture of yourself and to provide any other relevant information such as your fields of practice, your education, your diplomas, the year of your call to the Barreau, your languages (written and spoken), the number of lawyers at your firm, the addresses of your website, Facebook page, Twitter page, etc., your biographical notes, your publications, your accomplishments, etc. Since the minimum criteria for the attribution of the service requests to the Lawyers are the fields of practice/competence indicated on their profiles, if you have not chosen (ticked) any field of practice while creating your profile, you will not be attributed any request. 1.13 Public nature of the information: All the information entered in your client account is accessible to the Users of the Site, and to JurisRéférence, for administrative purposes only. You consent and acknowledge that this information may be made available to the Users on the Site. 2.1 User service requests 1 : As soon as a User completes their registration, their legal service request, which includes all the relevant information they have provided (the “Request”), is attributed automatically and electronically to the Lawyers whose profile information fits the criteria of the Request (including region/city, field of law, company or individual, number of employees, revenues/turnover, etc.). Please note that JurisRéférence does not get involved in the preparation of the User Requests or their content and that it is the responsibility of the Lawyers receiving such Requests to assess their validity and accuracy. It is important to note that JurisRéférence is not involved in preparing or in determining the contents of Requests made by Users and that Counsel to whom such Requests are made are responsible for assessing the validity and accuracy thereof. At this stage in the process, none of User’s personal or identifying information shall be disclosed to Counsel to whom User’s Request is sent. 2.2 Lawyer service offers2: Upon reception of a User Request, any available and interested Lawyer can, using the relevant functionality in their client account, accept that Request and obtain the User’s contact information. The User can consult the profile(s) of the interested Lawyer(s) using the relevant functionalities in their User account. 2.3 The fundamental obligation to inform JurisRéférence of the acceptance of a User mandate. It is fundamental that any Lawyer who provides legal services to a User or obtains a mandate to provide such services to a User following the use of the Service informs JurisRéférence immediately or, at the latest, within the following fifteen (15) days, through the means at their disposal in their client account or by any other means indicated by Juris Référence. 3.1 Member in good standing of the Tableau de l’Ordre du Barreau du Québec (Québec Roll of the Order of Advocates): Counsel undertake always to maintain their license to practice in the Province of Quebec. Should they be suspended or disbarred or if he is the subject of any disciplinary measures, Counsel shall forthwith cease using the Service and close their Customer Account and hereby undertake to notify in such case any and all User(s) to whom they have sent any Offer still firm or standing. 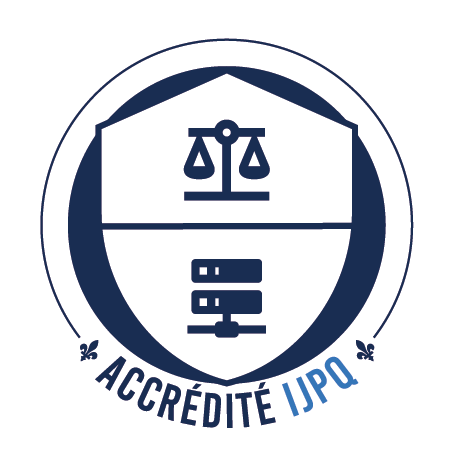 3.2 JurisRéférence conducts regular checks with the Barreau du Québec to validate the continued registration of the registered Lawyers. The client account of any disbarred, suspended, or otherwise disciplined Lawyer will be closed, with or without notice, at our own discretion, and any pending Request sent to that Lawyer will be cancelled. JurisRéférence will not be held liable for the maintenance of a Lawyer’s registration based on any false information obtained of good faith on that matter. 3.3 Ethical practice: Counsel registered on the Site undertake to abide by business practices consistent with all statutes, regulations, by-laws and general ethical rules in respect of the profession of counsel and their field of practice. 3.4 Confidentiality: Counsel undertakes to maintain the confidentiality of any information received and/or exchanged with User in connection with the Service, regardless of the existence of any counsel-client relationship or of any mandate, and to use said information only in accordance with these Terms and Conditions. Counsel agrees to make every reasonable effort to cooperate with Juris Référence should any third party attempt to unjustifiably force disclosure of said information. 3.5 No substitution: The Lawyer consents not to transfer the business of Users and leads contacted through the Service to any other Lawyer of their own firm or of any other firm, unless 1) the Lawyer remains responsible for the client and ensures all communications with them; or 2) the Lawyer does not receive any referral fees for such transfer, the transfer is made in the client’s best interest and the transfer is not made in order to bypass registration to the Service by the lawyer and/or law firm benefiting from the transfer. 4.1 Accuracy and credibility of information and data: Any information sent, registered, published or displayed on the Site or by means of the Site, shall be accurate as far as you know. Any personal and/or identifying data relating to you or relating to your firm provided when you registered and when your Customer Account was established shall be valid complete and up to date. 4.2 Subsequent amendment of information in Customer Account: You shall always be entitled to amend your password in accordance with the procedure established for such purpose, and with the information registered in your Customer Account. You shall be in charge of updating any information and any particular displayed on the Site. You more particularly undertake to keep up your e-mail address active for the entire duration of your operation of the Site. Should you change your address, you shall promptly effect your change of address in your Customer Account. 4.3 Erratic information or data: Should there be any reasonable grounds to believe that any Required Information registered in your profile or that any information you have sent, provided, registered, downloaded or displayed on the Site or by means of the Site is not accurate, valid, complete or up to date, as the case may be, JurisRéférence shall always be entitled to deny you access to the Site or to some of its features, interrupt or to abort your right to use the Service or to close your Customer Account. However, Juris Référence is under no obligation to ascertain that any information and data you send is accurate, valid or useful. 5.1.10 Promoting the sale of products and/or services that are pirated or deemed substandard according to Canadian legislation. 6.2 Limited Site user license: You are hereby authorized to use this Site within the limits expressly contemplated by these Terms and Conditions. You shall not be entitled to use this Site for any other purpose without first obtaining Juris Référence’s express written consent. On a non-restrictive basis, in the absence of said written consent, you shall not be entitled to change, duplicate, distribute, forward, display, publish, license, assign, transfer or sell any contents, data, software, products or services obtained on this Site, or create any works derived therefrom. 6.3 Transmission of content: Whenever you send, download or display any content in connection with any use made of the Service, whether it be text, photographs, sound or image files, or other forms of content (hereinafter referred to as « Content »), you are totally liable with respect to said Content. You represent that you are the originator of said Content and rightful holder of all rights therein, or else you represent that you have secured any and all required authorizations in due form allowing you to use said Content in accordance herewith. Please note that in some instances, several authorizations may be required. For instance, should photographs be concerned, you shall secure permission from the holder of the photography copyright as well as from the person appearing on the photograph. If you are not familiar with the rules respecting content protection we advise you to ask counsel specializing in such matters for information. 6.4 License to use your Content : You grant Reference Juris a nonexclusive license to use, as part of the Service, any Content downloaded , posted or transmitted by you on the Site or through the Site, in accordance with the Terms set forth herein, without territorial restrictions, and this for the duration of your subscription. 7.1 Undertakings given by Juris Référence respecting the Site and the quality of Service: JurisRéférence undertakes to do its best to ensure proper Site operating performance and continuous accessibility to its Service. Juris Référence undertakes to do its best and to use its best efforts in order to offer its clients a wide-ranging Service that satisfies their needs. 7.2 Warranty limitations respecting Service performance: Under no circumstances does JurisRéférence warrant that the Site and/or the Services will come up to all of Service users’ expectations and more particularly that Counsel will find any mandates and/or clients, or that Users will find the Counsel they are looking for. Under no circumstances will Juris Référence be held liable with respect to the outcome of cases Counsel or Users have obtained by using the Service. 7.3 Warranty limitations respecting the Site: Considering the potential for instability on the Internet network and as permitted by law and by any applicable regulation, JurisRéférence shall not be liable in any way for the performance of the Site from a technical and/or business point of view. Juris Référence does not pledge that services provided on the Site will be uninterrupted, safe or free from any error and that it will be possible to correct any defect found in any feature offered or in any software used. You alone will be responsible for any damage caused to your computer and for any data loss resulting from the downloading of any materials by means of the Site. 7.4 Limitation of liability in the event of damage: As permitted by law and by any applicable regulation, JurisRéférence shall on no account be liable for any damage, whether directly or indirectly resulting from any use made or from any inability to use the Site and/or the Service, including any damage connected to any loss of profit, loss of means or potential, to any Service interruption or to loss of data, whether or not JurisRéférence is notified of any likelihood thereof. 7.5 Warranty limitations respecting Contents of others: JurisRéférence shall on no account be liable in any way for any Content displayed, sent or otherwise conveyed, on the Site or by means of the Site, by Counsel, Users, associates or third parties. 7.6 Warranty limitation respecting the provision of mandates, services and legal opinion: JurisRéférence shall not in any way take part in the selection of Counsel by User, in User’s decision to entrust Counsel with any mandate or in Counsel’s decision to accept or not to accept any mandate from User. JurisRéférence shall under no circumstances be held liable in any way whatsoever with respect to such selections and decisions or with respect to any consequences of any such selections and decisions made by Users and by Counsel. Likewise, JurisRéférence shall not be held liable with respect to the quality of any offers made by Counsel or with respect to any legal services rendered by any Counsel to any User as a result of any use of the Service, Counsel being fully accountable therefor. JurisRéférence is not a law firm and does not offer any legal service or legal advice of any kind through the Site. Any legal advice that is published on or through the Site, if any, is the sole responsibility of its author and JurisRéférence will not be held liable in any manner for such legal advice. If, however, JurisRéférence is notified or has reasonable reasons to believe that a legal advice or other legal document that is false, misleading, unlawful or threatening to the rights of others is displayed on or transmitted through the Site, Juris Référence reserves the right, without prior notice and at its own discretion, to remove such advice or document and/or to close the account of the Lawyer responsible for that Content. 8.1 Penalties for failure to comply: JurisRéférence reserves the right, at its own discretion, to temporarily or permanently suspend your access to the Site and/or the Service or to certain functionalities, and to take any other measure deemed appropriate under the circumstances should JurisRéférence have good reasons to believe that you have failed to conform to any of your obligations herein. Those measures can include, without being limited to, the termination of your registration and client account and the transmission of any illegal content to the competent authorities. Without any obligation, JurisRéférence reserves the right to notify you of your failure by email or other means of communication and to give you the opportunity to resolve the issue. 8.2 Deletion of information: JurisRéférence performs regular backups of its systems and the files they contain. You accept that JurisRéférence may delete the information or files saved on the servers linked to your client account should you fail to comply with these Terms. 8.3 Indemnification: You accept to indemnify and hold harmless JurisRéférence and to take up the defence of JurisRéférence, its employees, agents, right-holders, representatives and/or business partners for any damage, loss or expense (including their lawyers’ reasonable fees) that they could have experienced from your failure to meet your obligations herein in the case of any claim, legal action or request for settlement on the basis of the violation of copyrights, the application of the law or applicable agreements, or any harm to the rights of others, including any monetary damage or other damage resulting from an illegal, prohibited or forbidden act described herein. 9.1 Links to external sites: JurisRéférence is not responsible for the content of other websites accessible through links included on the Site, including websites owned by Lawyers registered on the Site (the “Linked sites”), since those Sites were not created by JurisRéférence and are not under its control. 1 The words « request for service » are used to facilitate the designation of User’s search for Counsel services ; said requests are non-binding.